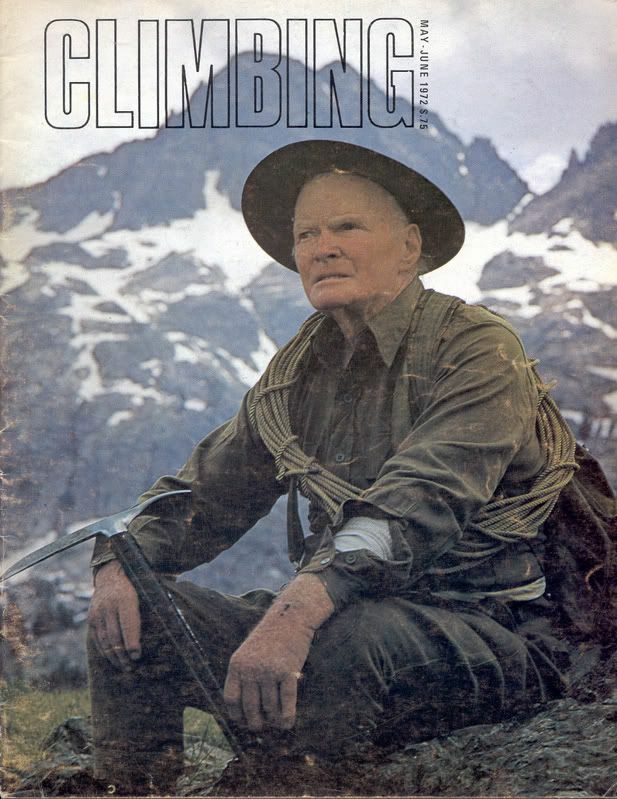 A rare and superb interview with one of the luminaries of the Range of Light. The embodiment of old school grit and determination and one of my heroes for sure! From The History of the Sierra Nevada by Francis Farquhar. From Climbing in North America by Chris Jones. My kind of guy; he used to blow away marmmots with his old Colt 45. Those were the days. Wherever you are Norman, I hope they let you carry that old revolver. great stuff! Holy cow thanks Steve. Woody: Did he eat the marmots, too? 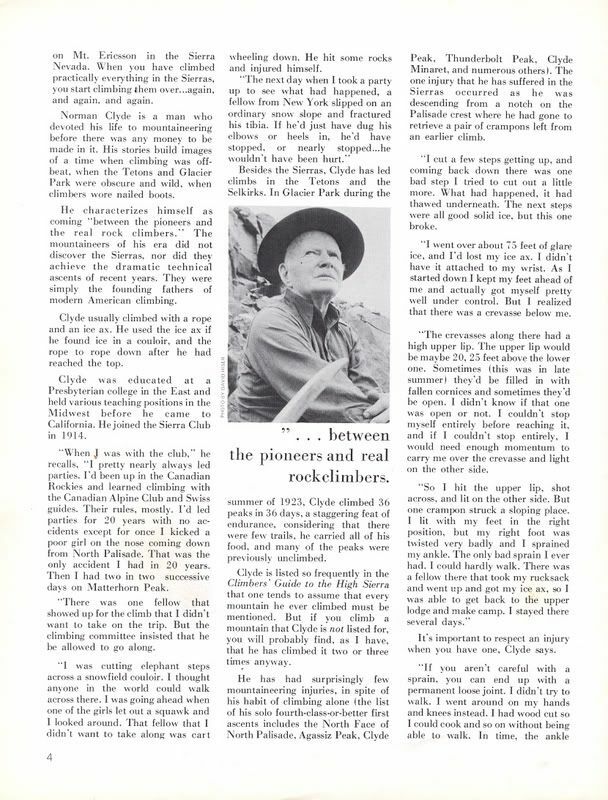 "Clyde lead or participated in many mountain rescues and is credited with saving a number of lives. He said of himself, "I'm like the village half-wit who could always find Old Bes the cow when nobody else could. I just imagine where I'd go if I were Old Bes – and then I go there."" his wife dying in 1918 may give some insight into Clyde's loner status. Good question. Now I have an excuse to find out. Of course, I'll have to experiment with numerous subjects: size, age, gender etc., and various cultural approaches: French, BBQ, Chinese, Thai, Malay, Mexican, Qechua etc. However, being as there are plenty of opportunities, I see no problem in starting as soon as possible. Perhaps nature could experiment with a marmot roll at FaceLift SushiFest. 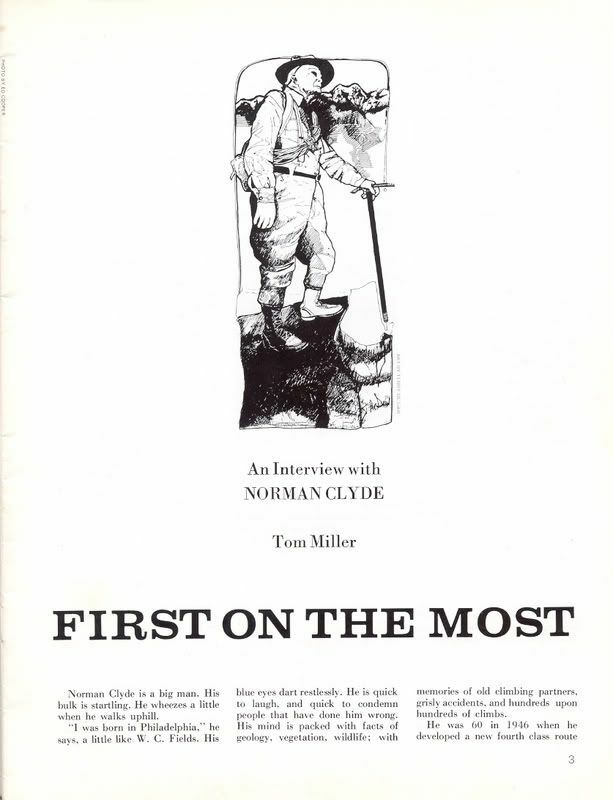 According to my dad, legend has it that Norman Clyde would carry an iron anvil and hammer just in case some weary packer needed farrier services along the way. Yes, an anvil. I once carried a cast iron skillet for properly frying fish I knew I would catch, but an anvil? 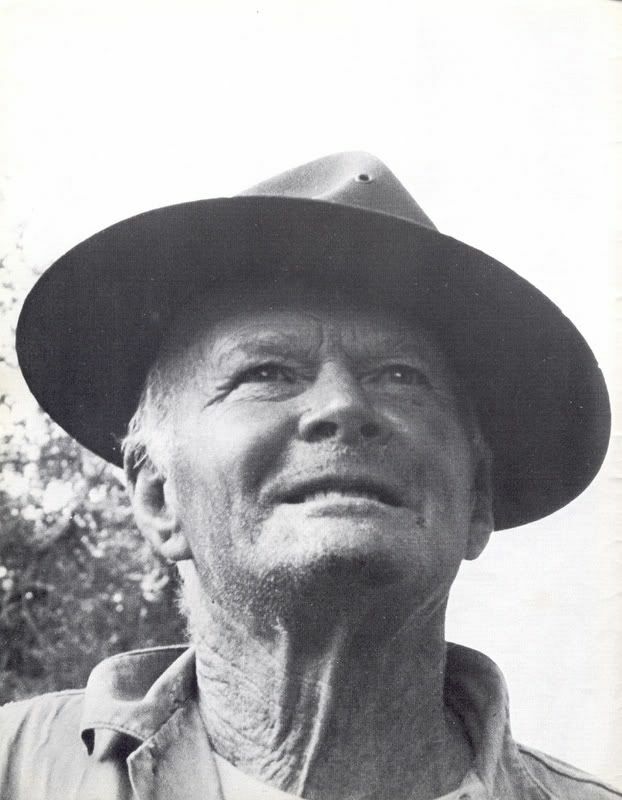 The guy was a legend in the 60’s, known to be wandering the crest with his 100-pound+ pack. As far as I'm concerned, he's still out there. . . .
Great links Ray! 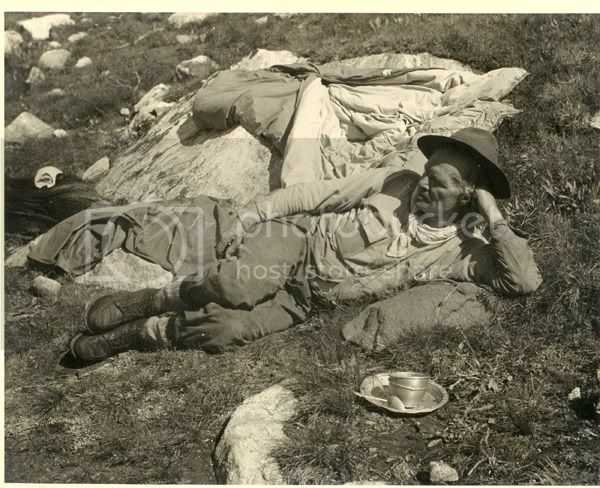 The question is, where in the Sierra did he not visit. All the more impressive given the access and gear then available. 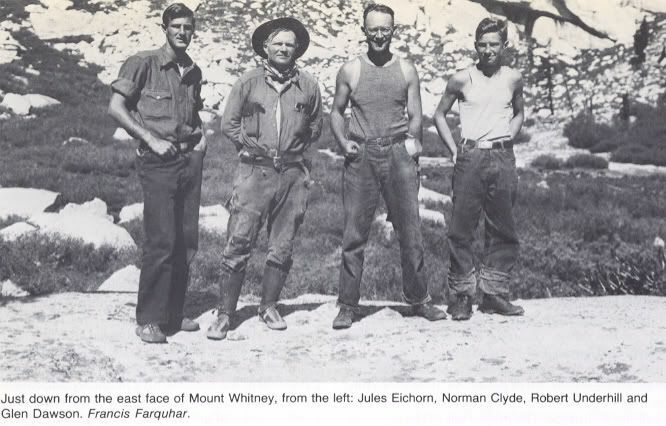 I never met Norman but had the pleasure of encountering a kindred soul in the Wind Rivers in the person of Finnis Mitchell after whom Mount Mitchell is named. I was heading in to the Cirque of the Towers (via Big Sandy opening) with a party of Udalls when this oldtimer pulls up and swings his equally well seasoned frame pack off and to the ground. A big cast iron skillet clanked that this was no ordinary backpacker. As we looked off towards our destination while making small talk with the iron man and his much younger female companion, he asked strangely "Do you like the view?" "Sure do," we said, "it's gorgeous." The iron man danced over to his enormous pack and fished around inside. Out came a handfull of postcards which he passed around gleefully. "Well, now you can take it home with you." It was a postcard of the very same view with the name Finnis Mitchell in tiny print. 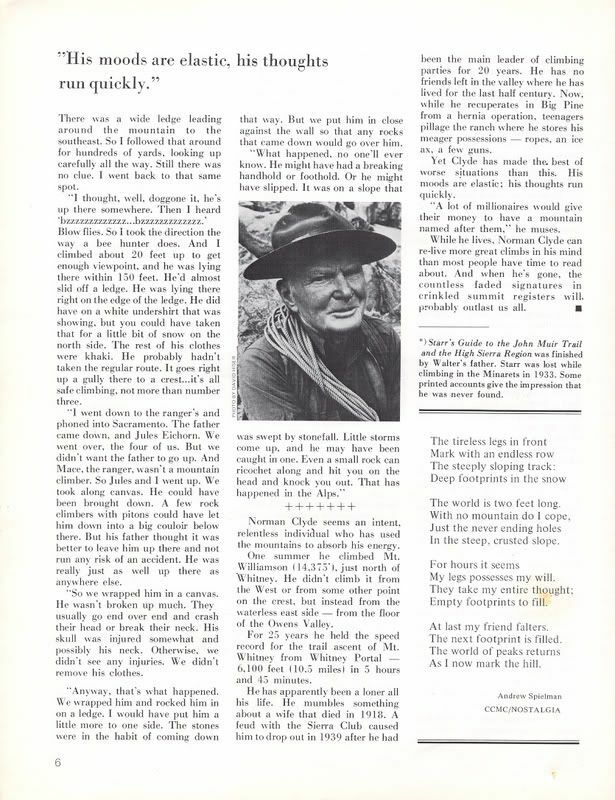 Though not so much a climber, Finnis was a legendary figure in the Winds and used to hand stock the lakes and streams with fingerlings carried in on foot and horseback. Amazing personal vigor and drive. Like Clyde, truly an inspiration. "As far as I'm concerned, he's still out there. . . ."
This is the only photo I can add to it. This is the Wind Rivers, he is obviously still in his element. Also, Old Norman is reponsible for stocking many high lakes with trout during the Depression. He was known as "The Pack that Walked like a Man". I've been told by some that should know, that the Sierra Club, in their prissy and p.c. way has tried to cleanse some of the old boy's more colorful attributes. I prefer him the way he really was. 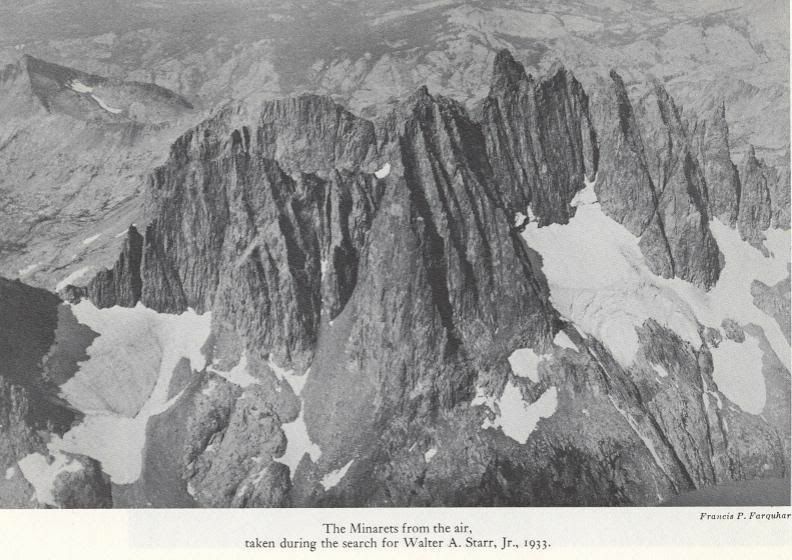 Here is an aerial photo of the Minarets taken during the search for Walter Starr's body. 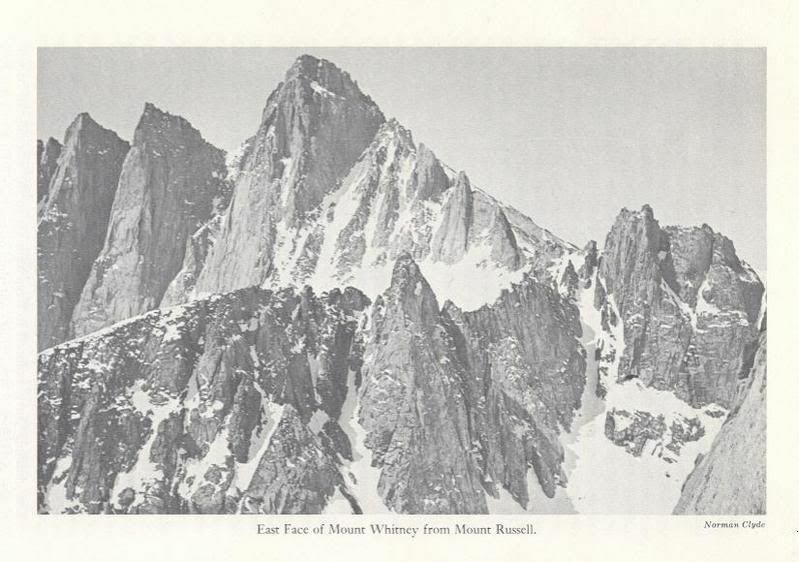 Taken by Francis Farquahar from his book, The History of the Sierra Nevada. Thanks for starting this tread. Very important history and the most interesting to read. 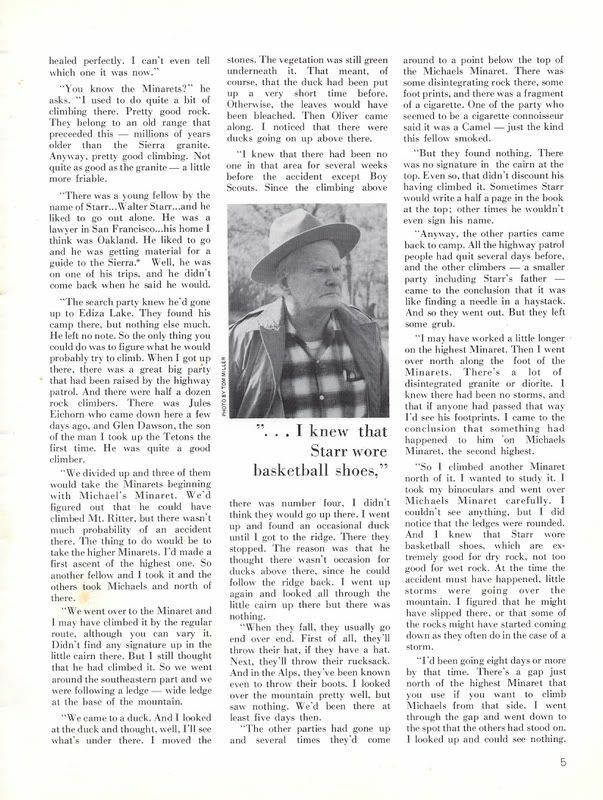 I like the story about when he was the Principal or Superintendant for the school district there in Owens Valley, and some young thugs were making trouble, and he pulled a gun out and shot it into the air to scare them off. It worked. Then the people had him released from his job for doing so. 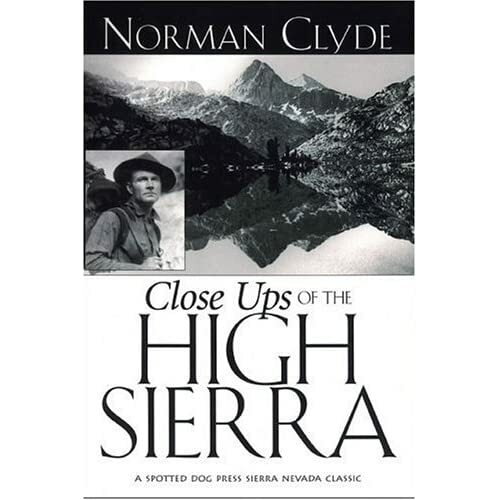 Norman Clyde is the man. "It's not true that I carried an anvil in my pack! ... But if I had a nice round stone that fit perfectly in the heel of my boot for replacing Triconi Nails, well that's my business!"